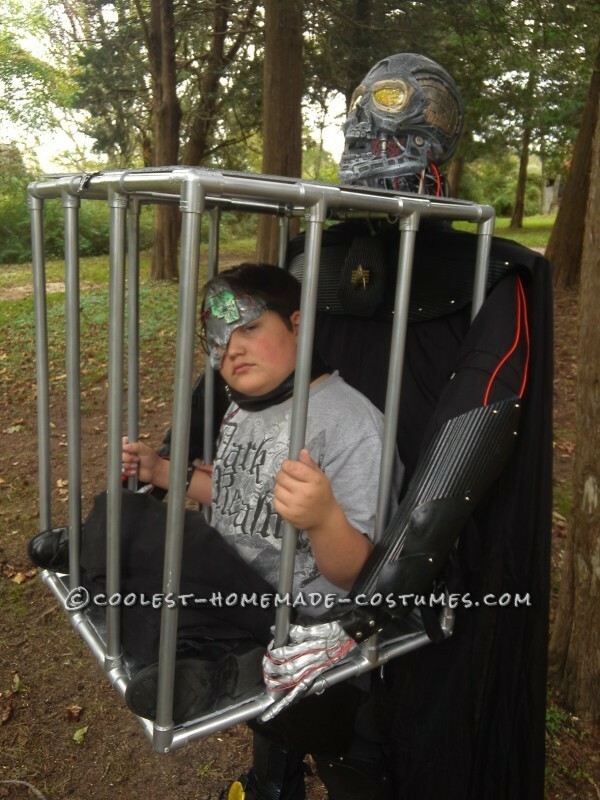 My son wanted to be a cyborg for Halloween. I thought to myself “how can we kick this up a notch?” So I did a little research and found the illusion costumes and away we went. 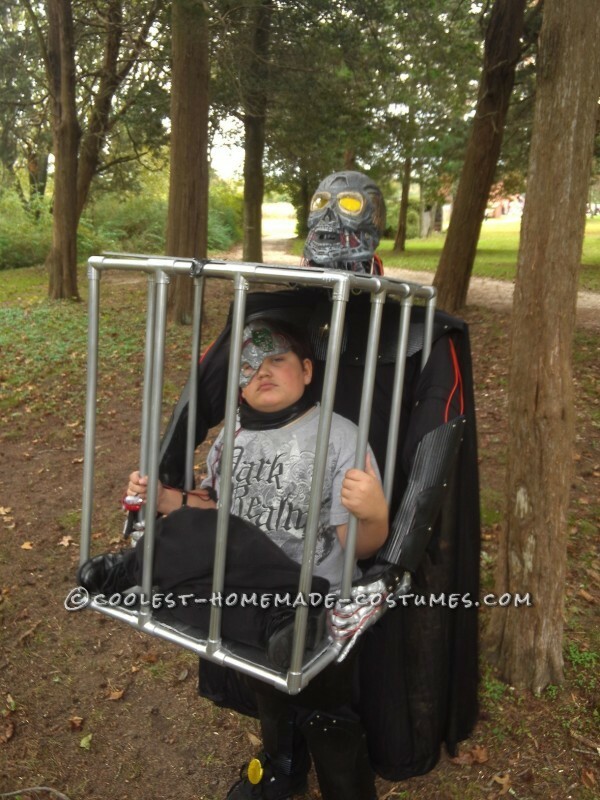 The cage is made of PVC pipe. We found a grim reaper costume in a yard sale and used it for the hands and cape. I felt like the cape helped pull off the illusion. We gathered various lights and reflectors from around the house so the costume looks practically good at night. We tried to make it look like the captor is starting to be assimilated by adding a partial mask with wires and finger lights. In the end the costume ended up weighing about 12 -15 pounds. With a good harness under his shirt and a little balance my son pulled it off great! It was awesome to see people’s reaction to the costume. 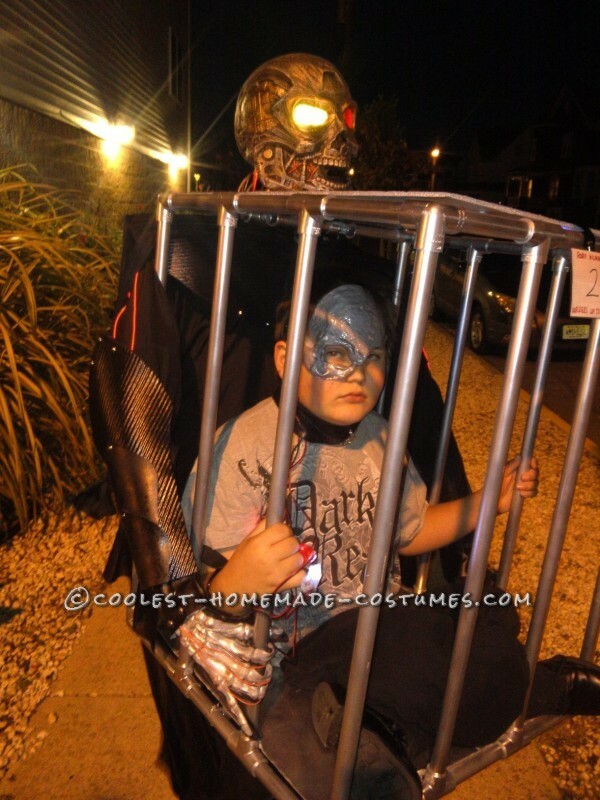 Some people said it was the best costume they ever seen. The crowd would start to applause as he walked by. It was like he was a celebrity. We took a Most Original in one contest, which I thought was kind of funny because the illusion idea I got from this wed site. Then we took Most Scary in another contest. We got such a good reaction from this costume I think we will do another illusion costume next year.